Running Time: 80 mins. Performances Tuesday - Friday will be followed by a 30 min response piece. Two people, furiously in love, struggling to stay afloat. 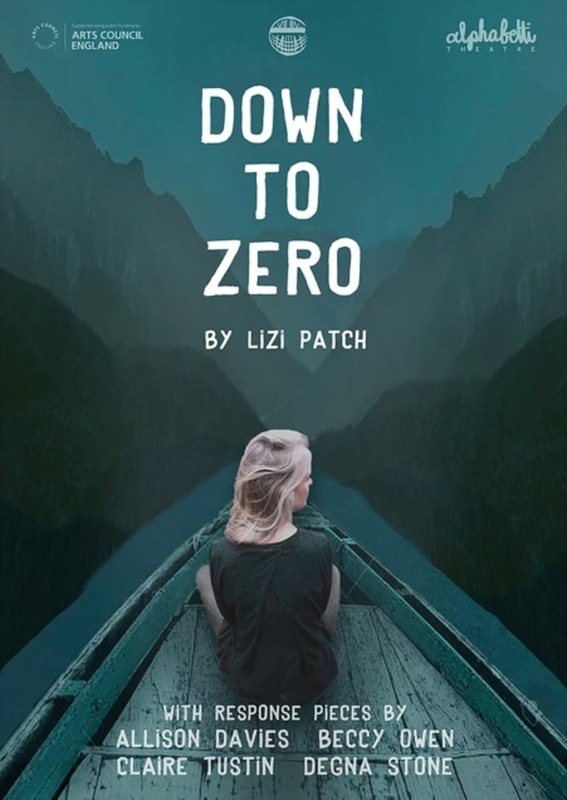 Down to Zero is an emotionally explosive, darkly funny new play by Lizi Patch, about two people, furiously in love, struggling to stay afloat as the past threatens to sink their future. "In the eyes of evolution I am now a pointless person..."
As Steph hits the menopause, she feels she is becoming a bystander in her own bewildering decline. Her partner Sam plans a surprise weekend away for her 50th birthday, but their determined idyll is ripped away by the arrival of a surprise visitor. "I'm slipping away and I don't know what to do...."
The play is followed by response pieces by North East artists Degna Stone, Allison Davies, Claire Tustin and Beccy Owen. 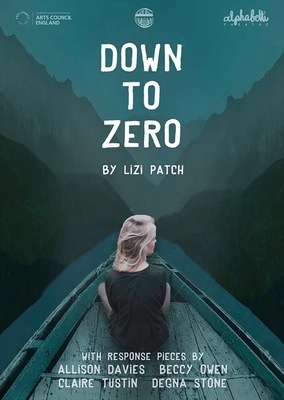 Lizi Patch is an actor, writer and educator based in Yorkshire. She wrote "An Accident of Birth" which was part of Coracle's Suffragette production in 2018, Other works include writer/director/producer/performer: Punching The Sky (Lowry, Live Theatre, West Yorkshire Playhouse and touring). Lizi is also Artistic Director of CITY VARIETIES/LEEDS ACTORS IN TRAINING for young people. Coracle are a new writing company based in Newcastle Gateshead. Their previous productions at Alphabetti have included Trajectory - "Showcasing the wealth of good new writing in the North East", Overdue, and Suffragette - "Varied, thought provoking, funny, intelligent and accessible". Ticket Collection Policy: for all shows which are Pay What You Feel all tickets must be collected by 7.15pm. Tickets uncollected by 7.15pm will be made available to those on the waiting list for shows which sell out. The Alphabetti Theatre bar and theatre are wheelchair accessible. We have space for two wheelchair users per performance. Alphabetti Theatre is based in Newcastle Upon Tyne and was created by Ali Pritchard in 2012. We create, produce, and programme new, original work from emerging artists across the performing arts, championing work in Music, Theatre, Comedy and Poetry. We strive to make theatre that is relatable and accessible to all, and are constantly looking for new ways to challenge ourselves, physically, mentally and conceptually – we believe that by challenging ourselves we inevitably challenge the audience, creating engaging and original experiences.